Looking for a new game-changing dimension in professional building? 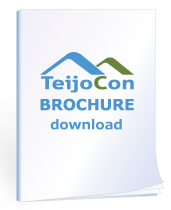 TeijoConcept is available to partners via a traditional licensing procedure or via joint ventures together with TeijoCon. The basic license can be extended according to the partners’ needs. The license does not define or limit the construction materials, building size or models. All license partners integrate the TeijoConcept into their own way of building and building models. Each license applies to a specified geographical area. If you are interested in the TeijoConcept license or joint ventures with TeijoCon, please, contact us, and we will provide you with more information. Solid high-quality buildings are built offsite in dry and stable state-of-the-art factory conditions. The buildings are completely ready, including electricity, plumbing and interior decorations. The building plot is fully prepared with an even gravel ground and infratech & housetech: connections for electricity, water, waste and smart solutions. The completed building with its concrete foundation is transported from the factory directly to the site and mounted by using a special lifting system. Infratech & housetech are connected and then the building is instantly ready for use. The buildings can be easily relocated or exchanged for smaller or larger buildings later by using the unique lifting system.